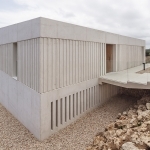 The plot is located on the northeast coast of Minorca, Spain, with a magnificent view over the sea. 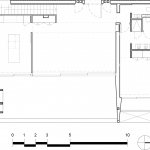 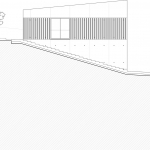 The steep inclination of the plot together with the site regulations made the positioning of the house very limited. 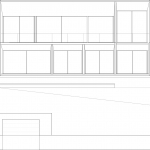 In order to avoid the house in front blocking the views, the house was pushed back to the highest point of the plot and the main entrance was located on the first floor.To further guarantee this clear view, the traditional program was flipped so that the dayarea is located on the first floor and the bedrooms on the groundfloor. 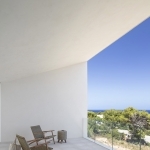 Only the master bedroom can be found on the top floor, responding to the clients request to have a summer house easy to open and close for short weekend stays where maybe only the couple lives there. 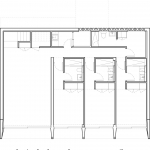 In this way, the house can be understood as a single level loft with an extension for their children and guests bellow. 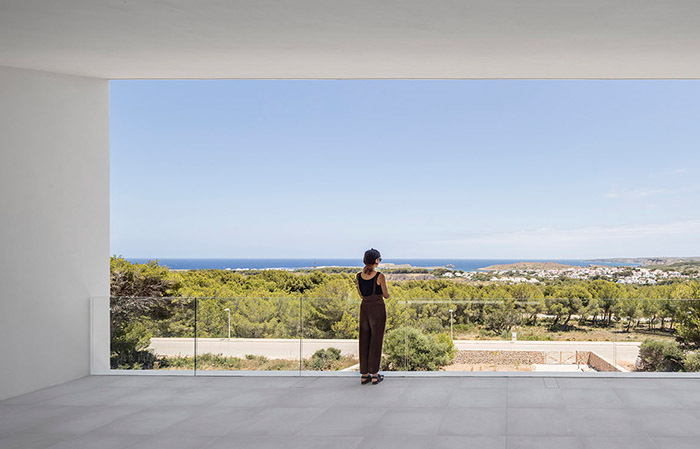 The strong contrast between the openness of the sea-view facade and the opacity of the side and back facades create a strong framing effect. 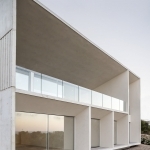 To further enhance this gesture the roof is inclined opening up towards the view and the whole front facade is glazed from floor to ceiling with large sliding windows. 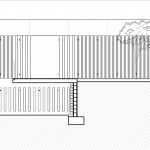 Using prefabricated hollow core slab for the roof, usually found only in industrial buildings, allowed us to create a 11m large span to cover a column free terrace with completely undisturbed views. 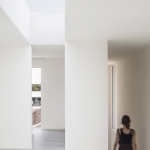 One whole prefabricated element was removed from the roof creating a large frameless skylight that brings light to the windowless back. 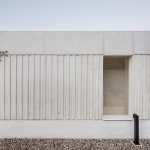 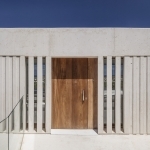 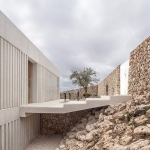 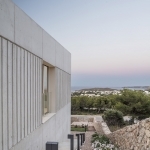 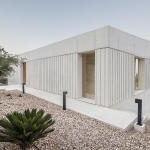 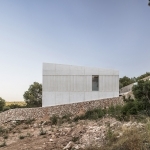 In site concrete was chosen for the facade as a zero maintenance material that would age beautifully in Minorca’s aggressive climate of high humidity and extreme salt levels. 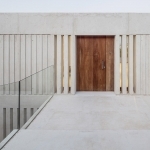 The house’s off-white facade blends in with the ochre and terracotta coloured soil that surrounds the house. 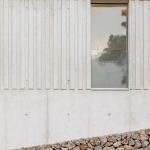 Finally, a band of vertical striped relief goes around the façade organizing all windows and doors.